Long-range hyperpolarization suppresses the formation ITLSs. See Chernet & Levin. 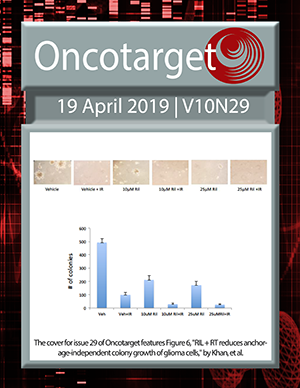 Tumor cell apoptosis mediated by cytoplasmic ING1 is associated with improved survival in oral squamous cell carcinoma patients. Rad51 supports triple negative breast cancer metastasis.